Snap the Shore, See the Future! 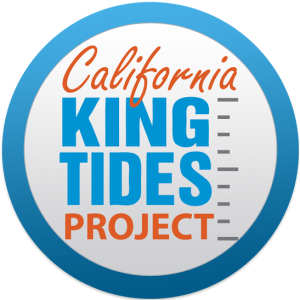 Please join the California King Tides Project for its 5th anniversary to capture this year’s highest tides, or king tides, on December 21-23, January 19-21, and February 17-19. These extreme tides provide a glimpse of what the state can expect as sea levels rise. Participating is easy: simply grab your camera or smart phone and head to the coast or bay during the high tides, and then post your photos on the California King Tides Project’s Facebook and Flickr pages with the time, date, and location of the image. Plan your photo shoot: For information on when the high tides will reach your community and for suggestions of where to take photos, click here. If possible, try to capture both high and low tide, and be safe! There are also opportunities to take photos at pre-determined photo monitoring sites. To find locations near you, visit the Citizen Science Program page. Learn more: Check out the Thank You Ocean Report podcast to learn more about the California King Tides Project. 2013-2014 photos now available: Thank you to everyone who participated last year! To view last year’s photos, please check the photo pool. State efforts to prepare for sea level rise: The California Coastal Commission, a Project organizer, has released a Draft Sea-Level Rise Policy Guidance. The document is designed to assist local planners and others in addressing sea-level rise in Commission planning and regulatory efforts. More information is available online. The California King Tides Project was launched in the winter of 2010/2011 by a partnership of state agencies and non-profit organizations. As a successful pilot effort, the King Tides Project created a rich and diverse archive of photographs that highlight the changes in California’s shoreline communities and ecosystems.